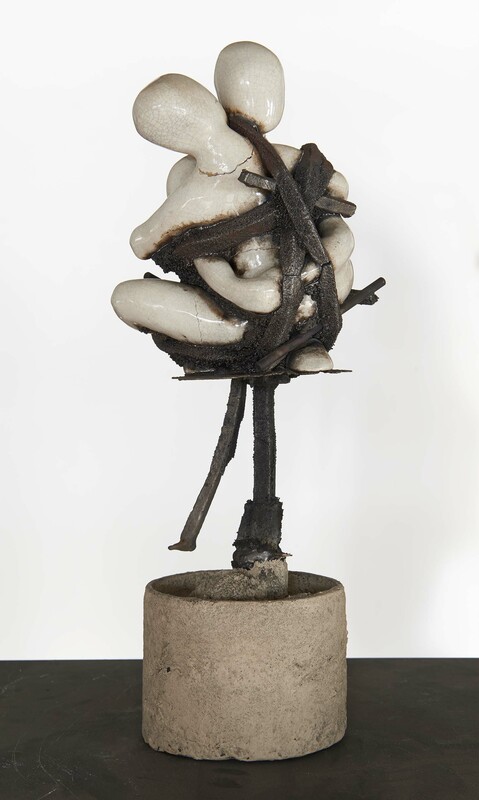 This exhibition, which is presented by SP Koren Art, features sculpture by the Spanish and Latin American artist Xavier Mascaró. One can easily see why he attracts attention both in Europe and the Americas through his exciting experimentation in the casting of his works. 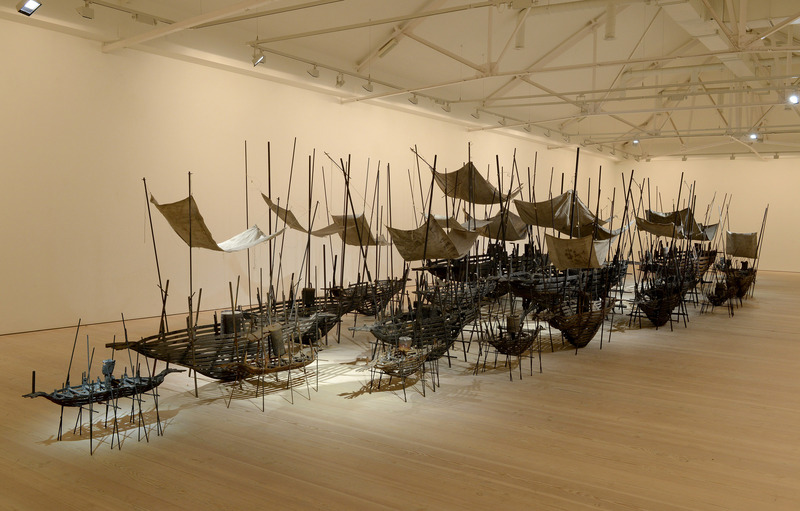 He has a fascination with boats as the installation of bronze and iron boats representing forgotten shipwrecks shows. 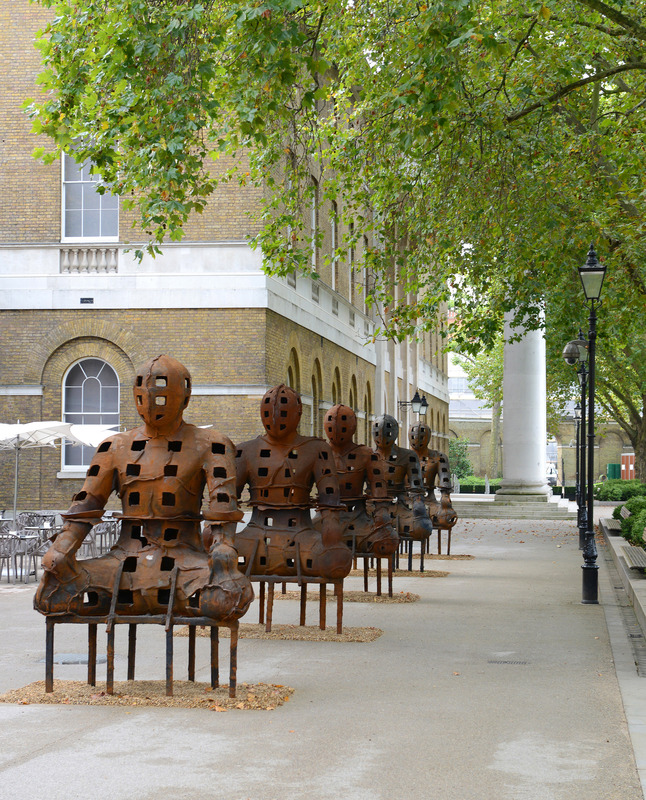 There is also figural works, including female heads and “votive” like figures and for the very first time in the gallery’s history in Chelsea they are showing some of his imposing Guardians series outside. 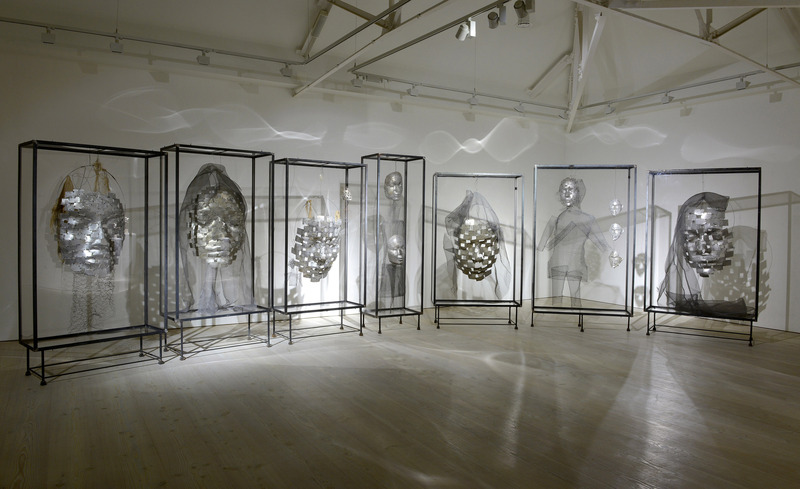 It is a show that combines the symbolism and iconography of the past with the contemporary in style and grace. This entry was posted in Contemporary Art, Decorative Arts, Sculpture, Visual Arts, Works of Art and tagged bronzes, contemporary art, Decorative Arts, Saatchi Gallery, Sculpture, Visual Arts.